Rheingold - die Götter lachen laut from Die Stelzer on Vimeo. 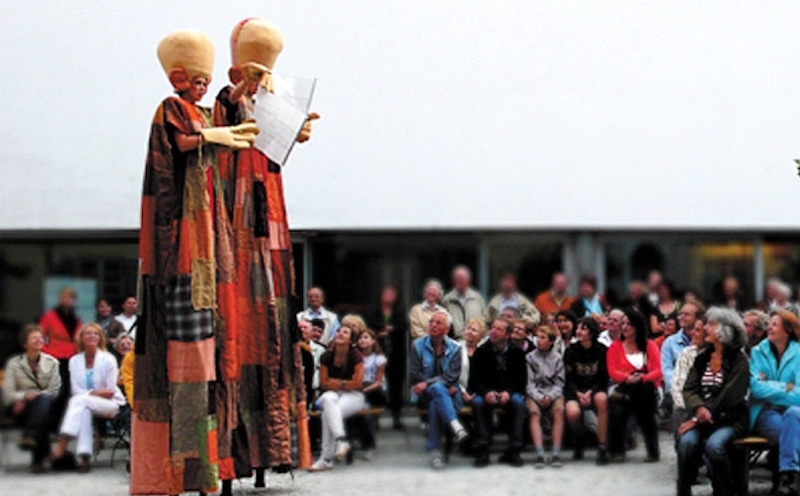 Open air theater play on stilts based on Richard Wagner’s Opera. The costumes for “Rheingold” were described and praised as “impressive”, “magnificent” and “breathtaking” in various german newspapers.